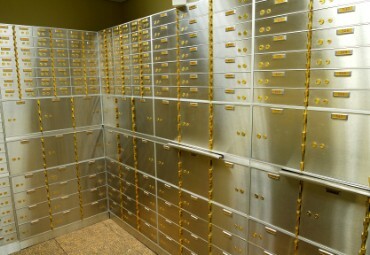 A few minutes ago the deputy Minister of Finance Mrs Olga Valavani said safe deposit boxes will be reserved! Bank officials denied this statement. However, there is a lot of confusion and panic since a lot of people (who unfortunately did not read your blog) have put their cash or coins in the safe deposits. If you will assist Greece there is hope. If for whatever reason you will not assist, I am afraid that we just entered one of the darkest chapters in our history. REPLY: We are giving it our best shot. It is hard to convince someone to stand-up for themselves when everyone thinks in the same normal convention of perpetuating the current system until it collapses. This is a warning to people using safe deposit boxes in banks. The government can simply restrict access. A word to the trusting – BEWARE! That hole in the backyard is starting to look pretty good. Look at it this way. 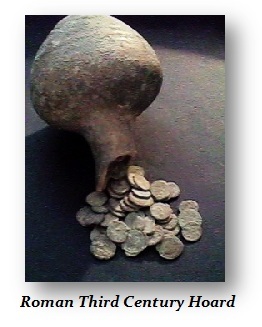 You may at least be leaving behind documented evidence of our financial crisis, just as the Romans did with all their buried hoards from the 3rd century chaos.